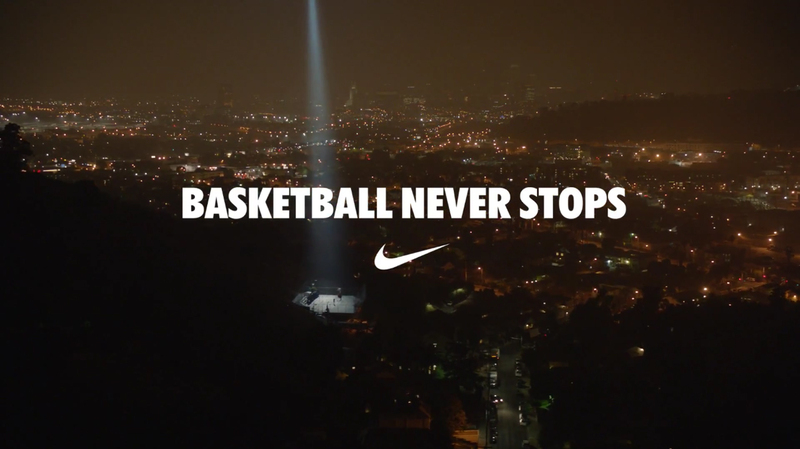 Nike has released “Shine”, a new episode in the “Basketball Never Stops” advertising campaign, starring NBA star Lebron James. The basketballer unremittingly trains while the rest of the city closes up and calls it a night. The campaign also includes a social media campaign with a dedicated Facebook page and Twitter hashtag, #BasketballNeverStops, encouraging fans to join together to keep the spirit of the game alive throughout the lockout. The Nike Shine ad was developed at Wieden+Kennedy, Portland, by creative directors Alberto Ponte and Ryan O’Rourke, copywriter Brandon Pierce, art director Aramis Israel, producers Jennifer Dennis and Dale Nicholls, executive creative directors Mark Fitzloff and Susan Hoffman, agency executive producer Ben Grylewicz. Filming was shot by director/director of photography Lance Acord via Park Pictures with executive producers Jackie Kelman Bisbee and Mary Ann Marino, line producer Aris McGarry. Editor was Biff Butler at Rock Paper Scissors with executive producer Carol Lynn Weaver. Visual effects were produced at A52 by VFX supervisor Patrick Murphy, Flame artist Glynn Tebbutt, VFX producer Scott Boyajan. Sound was designed at Stimmung by Gus Koven. Sound was mixed at Eleven Sound by mixer Scott Burns and producer DJ Fox-Engstrom. Music is “Sleep Warm” by Frank Sinatra.